The Temple orange — Tree-Ripe Citrus Co. 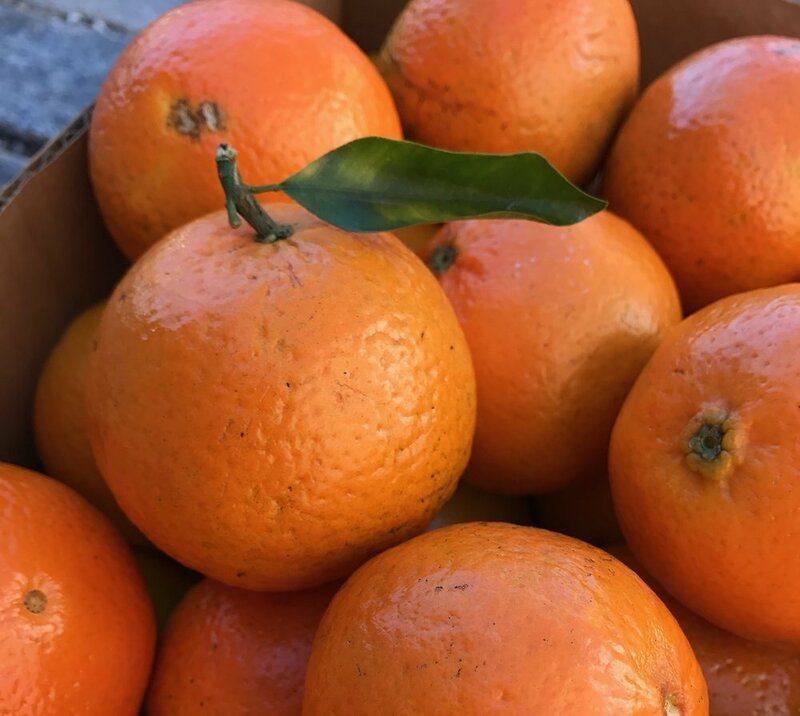 This Monday marks the first season in over 10 years that we will be delivering Temple oranges on our truck routes. While we have been able to offer home delivery in past years for this variety of orange, many of our customers haven’t been able to experience it. For the most part, supply has been very limited. Yet, we really wanted to bring them back to our truck routes as it is one of our all-time favorite varieties. What is a Temple orange? It is believed that Temple oranges were brought to Florida in the 1890’s, presumably from Jamaica. The Temple orange was named after William Chase Temple who was, amongst other things, a citrus baron and part owner of the Pittsburgh Pirates. He even called Milwaukee home for a short time after he graduated from high school. He is credited with helping to put them into commercial production by 1917. By the 1950’s there were over 1.6 million Temple trees in Florida! Temples are similar to many other varieties in that they are a hybrid variety. They are part tangerine and part orange. They typically have a deep orange color and are very juicy. The wonderful thing about a Temple orange though is the flavor. We often describe them as the “orangiest” orange there is. It has such an intense and unique sweet-tart, almost spicy flavor. They have a more tender membrane than Navels or Honeybells, despite having some seeds. And, because they are part tangerine, they normally peel very easily. Temple oranges are also one of the best varieties to make jams, preserves, and marmalades out of. If you've never made any before, don't worry! Head over to our Pinterest page on jams and you can find tons of great recipes to use (including directions!). We’re excited to be bringing Temple oranges again, and we hope that we’ll see you in February and March. We love Temples and we know you will too. And probably the best part of Temple season is that it means spring is right around the corner!